George Barnett, Jr., a Philadelphia Police Officer was killed in the line of duty November 28, 1910. 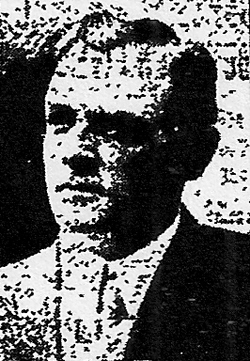 Policeman Barnett was shot and killed while attempting to question a suspect of being involved in a burglary. Officer Barnett is the son of George and Ann Barnett of Rowlandsville, MD. Brother of Mary and William Barnett. Survived by his wife Sarah "Sadie" Grant Barnett and 13 yr old son Harry L. Barnett.